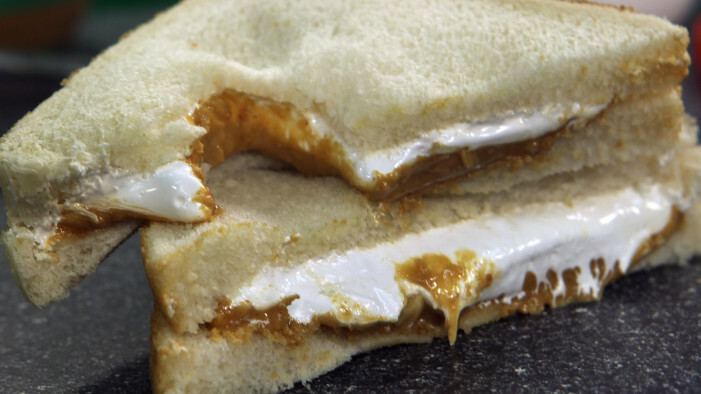 Ah, good old Peanut Butter and Marshmallow Fluff. The sandwich adored by kids and (some) adults alike may finally get the recognition it deserves. There are extremely important wheelings and dealings taking place right now in the Commonwealth of Massachusetts to make that a reality, as a bill to designate The Fluffernutter as the official state sandwich was approved during a House vote this week. Once the House takes a second vote, that bill will move on to the Senate. Oh, snap! This debate might end up a lot more heated and politically-charged than originally intended. Only time will tell whether The Fluffernutter gets its official day in the sun. The truly sad part is the fact that Ted Kennedy never lived long enough to see it happen. Next Story → Is Tweeting #Breakup Any Way to Dump Your Significant Other?